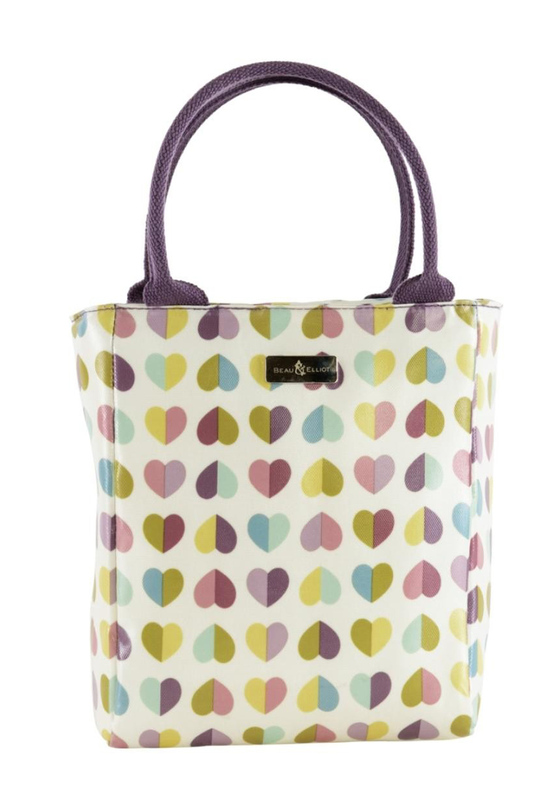 Carry you lunch in style with this stunning and practical lunch tote from Beau & Elliot in a green and multi-coloured heart print. Featuring two purple woven top handles, branded hardware on the front and top zip. 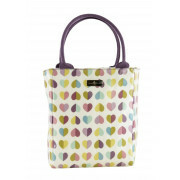 With a hygienic wipe clean inside, this gorgeous piece is perfect or school, the office, picnics and camping. Alfresco has never look so good.